In retrospect, it’s rather remarkable that The Game is as good as it is, since the disc – the band’s first of the Eighties – finds the four men dispensing with most of the things that had made them one of the more original bands of the ’70s, be it their theatrical pomp-rock epics, the frequent excursions into music hall and vaudeville territory, and the general sense of camp. Instead, the band makes a headlong dive into pure pop territory here, even employing synths – a first for a band whose prior albums had commonly borne the disclaimer “No synthesizers were used.” Though this results in an album that never quite feels like as elaborate an album piece as, say, A Night at the Opera or even Jazz, the songs themselves are generally even catchier than normal and masterful both in their song structures and arrangements, and co-producer Mack helps the band to make the tracks sound contemporary but not so much that they feel dated today. This is where you’ll find the irresistible rockabilly of the Number One hit “Crazy Little Thing Called Love” (unusually featuring Freddie accompanying himself on acoustic guitar), and the rock-disco of the John Deacon-penned “Another One Bites the Dust,” but you’ll be pleasantly surprised at just how good most of the lesser singles here are, particularly the breathtakingly lovely piano ballad “Play the Game,” the near-power-pop of the hard-hitting “Need Your Loving Tonight” (which nearly sounds as if it could have been covered by Dwight Twilley or Phil Seymour), or the anthemic balladry of “Save Me.” The lyrics to “Dragon Attack” and “Don’t Try Suicide” both seem noticeably undercooked, but overlooking that, this is a near-flawless pop album. 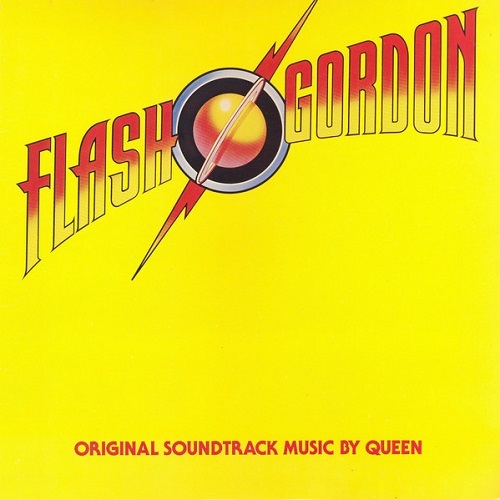 Generally considered to be Queen’s ninth official studio album, Flash Gordon is also very much an anomaly in the band’s catalog in that it’s not only a soundtrack but one comprised almost completely of incidental score music (much of it clocking in at under two minutes) rather than proper songs, so it’s really debatable whether this really should count as a proper Queen album. [After all, the soundtrack to Dune, which is virtually identical in structure, has never been considered to be the sixth studio album from Toto.] 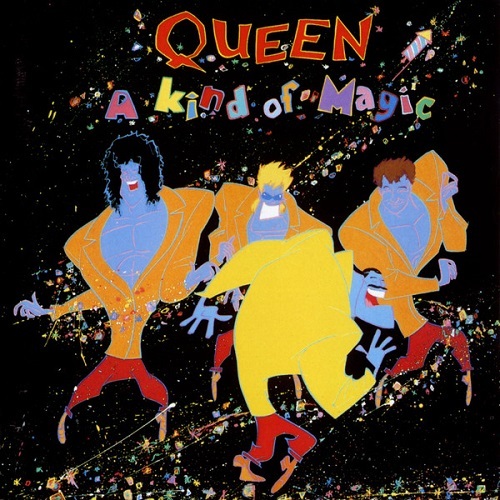 It’s subsequently hard to assess this disc in relation to any of the eight albums that preceded it, because it’s simply not the sort of record you’re likely to come back to with nearly as much regularity – in fact, “Flash’s Theme” and “The Hero” are the only two songs here with lyrics, so Freddie Mercury doesn’t have nearly as big a presence here as normal. But for what it is, as a predominantly-instrumental album of film-score music for a beloved cult-flick further immortalized in the 2012 big-screen comedy Ted, it’s fairly well-crafted, and it’s more in keeping with the pomp-rock of the band’s earliest albums than The Game was, so more hard-rock-minded fans who found the band’s move into club territory in the early ‘80s to be too alienating should find this disc to be a bit more to their liking. Still, albums of this nature have a limited appeal at best, and even with a band as gifted as Queen crafting the music, there’s not much here that’s likely to hold much interest for anyone other than diehard Queen fans or film-score enthusiasts. Queen had started the ‘80s on a high note, so it’s rather stunning that the group – which by now had left its longtime American home of Elektra for a new deal with Capitol – became largely commercially irrelevant in the U.S. by the mid-‘80s. There was no single factor that caused this, and it was likely a combination of things: first, the band ceased playing live in the U.S. altogether after their 1982 appearance on SNL (a must-see, by the way; their performances of “Crazy Little Thing Called Love” and “Under Pressure” that night are legendary); secondly, their music took a sharper turn towards pop in the ‘80s, which likely alienated many of their earlier, more hard-rock-minded fans, particularly after they delved so heavily into dance music on the poorly-received Hot Space; and, lastly, though hardly anyone ever actually says it, the band’s material during the mid-‘80s and beyond simply wasn’t nearly as catchy as the singles the band were turning out regularly in the years between Sheer Heart Attack and The Game. Though the band never stopped having chart success in their native U.K., the simple fact is that very few of their latter-era singles sounded like obvious American radio hits. The Works is definitely one of their more solid post-‘70s outings, though. Aside from containing the last non-reissue Top 40 hit they’d ever have on this side of the Atlantic (the airwave-themed lament “Radio Ga Ga,” penned by drummer Roger Taylor, thus giving Queen the distinction of being the only band to date to have had each of its members be individually responsible for writing a Top 40 hit), the album also boasts three additional massive U.K. hits: the piano-driven “It’s a Hard Life” (the song here that arguably most recalls their earlier work), the acoustic-guitar groove of “I Want to Break Free,” and, best of all, the heavy, muscular power-pop-like rock of “Hammer to Fall,” one of the band’s most criminally underrated latter-era singles. As a whole, it doesn’t quite stand up to The Game or any of that album’s predecessors, but it’s ever-so-slightly more listenable in full than Hot Space (even if nothing here is quite as catchy as “Under Pressure”) and the album still outshines anything that would follow it. The band’s second album for Capitol – an unofficial soundtrack of sorts to the film Highlander, which employed six of the nine songs here – can’t help but be disappointing. The four men had unexpectedly turned in the performance of their lives at the legendary benefit concert Live Aid, completely stealing the show and re-establishing themselves as one of the greatest arena-rock bands of all-time. So it’s a bit surprising just how tepid A Kind of Magic turns out to be. Mind you, it’s not at all a terrible outing – merely a mediocre one and one that, like much of the band’s post-The Game output, simply suffers from a dearth of particularly strong hooks, the band really struggling to come up with melodies that stay in your head long after the tracks are over in the same way that, say, “Crazy Little Thing Called Love” or “You’re My Best Friend” do. There are several tracks that are moderately memorable – namely the opening one-two punch of the muscular Iron Eagle soundtrack contribution “One Vision” (easily the best song here) and the snappy title track, while the highly symphonic “Who Wants to Live Forever” is the band’s most over-the-top ballad in some time – but that’s exactly the problem: they’re simply moderately memorable, and you can’t say that about the highlights of Queen’s outings for Elektra. It’s a shame, really, because the band was truly still at the top of their game as a live act, and Mercury was just as charismatic as ever, as Live Aid proved without a doubt, but they were no longer consistently writing material that matched their greatness as performers. Arguably their least satisfying album, The Miracle is, to its credit, at least a more cohesive album piece than A Kind of Magic, which was something of a grab bag of songs originally intended for soundtracks rather than a proper Queen album. But The Miracle has two major things working against it. For starters, it has aged the least well of any of their ‘80s albums with its cold and sterile drum-machine-heavy sound, which causes even the harder-rocking tunes to feel strangely muted. But much more problematically, it’s also simply their least addictive batch of songs to date; even the majority of the singles – be it the dance track “The Invisible Man,” the frantic synth-pop of “Breakthru,” or the swirling title track – lack especially impactful hooks, although the rallying cry of “I Want It All” fares a bit better. This still being Queen, of course, it’s all quite tasteful and not without its craft, but it’s hard to escape the feeling throughout that the band’s best melodies are long behind them at this point, and it ends up taking away from what’s actually their sharpest album lyrically in years and making the songs more forgettable than they perhaps deserved to be. Sadly, this would prove to be the last album Queen would record before Fredie Mercury’s untimely passing, and though it can’t really be called a return to form per se, Innuendo is at least a much stronger coda to Mercury’s tenure with the group than The Miracle might have been, boasting the better set of songs and less dated production. The near-prog-rock of the operatic title track (with a flamenco guitar solo from Yes’ Steve Howe on guitar) was undeniably a strange pick for a lead-off single, the song both too unconventional for its time and too bereft of a solid hook to have stood any chance at all of becoming a U.S. hit, though it would top the U.K. charts. But there’s more easily accessible material to be found elsewhere on the disc, namely the straightforward rock of “Headlong,” the Jim Steinman-sized epic balladry of “The Show Must Go On,” and, even better, the lovely, pensive ballad “These Are the Days of Our Lives” and the haunting-yet-alluring “I’m Going Slightly Mad,” which hearkens back to Mercury’s town-hall novelties on the band’s ‘70s albums, albeit with an alt-rock edge this time around. The disc falls well shy of the brilliance of the band’s albums from Queen II through The Game, but the songwriting is generally stronger here than it’s been on any record since The Works, and the band is also noticeably making more of an effort here to re-capture the sounds and the theatrical bent of their best ‘70s albums, albeit with more contemporary production. A posthumous release assembled in slightly patchwork fashion, containing an assortment of previously-unreleased songs from the band’s vaults (notably, the great The Miracle outtake “Too Much Love Will Kill You,” the lost The Works song “Let Me Live,” and a Freddie-sung version of “Heaven for Everyone,” originally recorded by Taylor’s solo project The Cross), new songs Freddie had begun working on just weeks before his death (“A Winter’s Tale,” “Mother’s Love”) and full-band re-recordings of past Mercury solo sides like “I Was Born to Love You” and “Made in Heaven.” Considering its hodgepodge nature, it actually holds together much better than you would expect it to, and there are several minor gems scattered throughout. It’s ultimately no more essential a purchase than Innuendo, but it’s every bit as good as that record and every bit as fitting an epitaph to Mercury’s memory. It’s certainly up for debate whether or not it was in good taste for Brian May and Roger Taylor to continue to use the Queen name at all after Freddie Mercury’s passing, never mind actually replace him. Simply, it’s just not Queen without Freddie, who was a one of a kind, and when you get right down to it, there was only one person who could come close to being even a halfway-adequate stand-in for Mercury, and that’s the late George Michael, who had both the comparable vocal range and the similar sense of showmanship. [If you’ve never heard it before, be sure to check out Michael’s electrifying performance of “Somebody to Love” – immortalized on the 1992 EP Five Live – from the band’s memorial concert for Mercury.] That being said, this album probably wouldn’t have received the beat-down that it did had they simply just issued it under a different moniker; not only would it have been more tasteful, but it also would have been more suitable, because this music frankly doesn’t really sound much like the Queen of old, anyway. [But then, nothing with Paul Rodgers – best known as the former frontman for Free (“All Right Now”) and Bad Company – could. Rodgers, perfect vocalist though he is for a band like Bad Company, was the polar opposite of Mercury in just about every way imaginable, and as the tour that preceded this album proved, he just didn’t have the vocal range – or the tongue-in-cheek demeanor – necessary to nail the bulk of the songs from Queen’s back catalog.] To the band’s credit, this album is at least more tasteful than their attempts to re-create the Queen songs of old with Rodgers at the microphone, and it does sound like all three men here are enjoying making new music together, but – comparisons to the Queen sound of old aside – the music doesn’t really come anywhere close to standing up quality-wise to the best of either Queen or Bad Company. It’s certainly an interesting disc, no doubt, but, ultimately, the songs just don’t quite cut it. For a band as highly-revered a live act as Queen was in their prime (and few will deny that they stole the show at the original Live Aid), it’s ironic that there really is no truly iconic or definitive live album from the band. The most satisfying is arguably the 1979 Elektra double-disc Live Killers, which naturally lacks any of their ‘80s hits but otherwise contains a rock-solid track selection and plays up their reputation as a powerful arena-rock band. 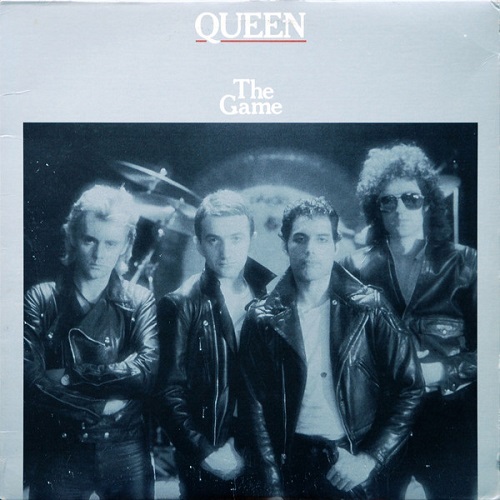 The 2007 Hollywood release Queen Rock Montreal is a bit spottier, particularly in its back half, which features extended instrumental solo tracks from both May and Taylor which will bore most listeners, but it captures the group during an otherwise fairly strong 1981 date at the height of their fame in North America following the release of The Game.